June 1959 CBS News radio report by Charles Kuralt on the Greenwich Village poetry scene. Here, Kuralt visits the famed Gaslight Café, 116 MacDougal Street, in the Village, which featured such poets as Allen Ginsberg and Gregory Corso; unfortunately, they weren’t on stage that evening and instead Kuralt happens upon the single worst poet in the city. The Gaslight operated from 1958 through 1971 – from the peak of the Beat era through its tail end when the hippies moved in on their turf. Decidedly squaresville man, but Kuralt provides a quick capture of the media's view of the Beatniks at the height of their cultural significance. 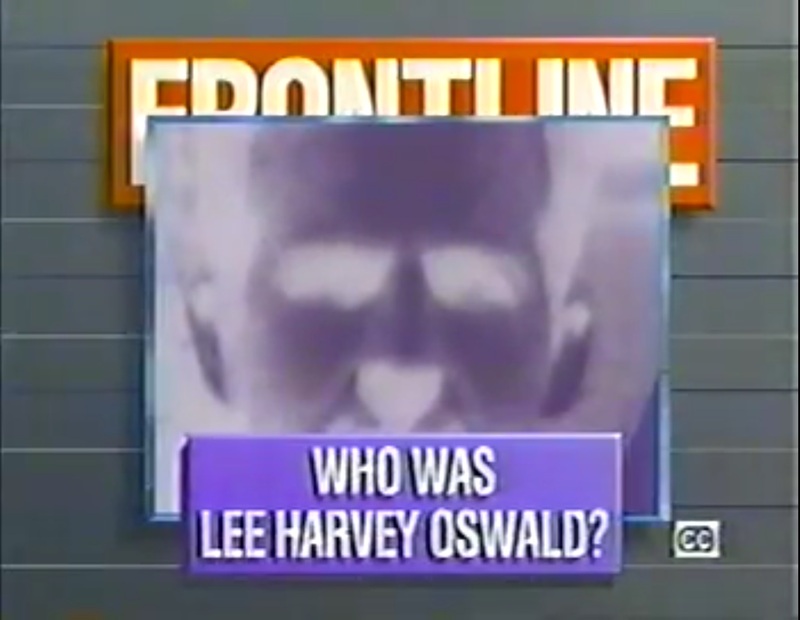 PBS Frontline: Who Was Lee Harvey Oswald? Any effort to explain what happened in Dallas must explain Lee Harvey Oswald, and Lee Harvey Oswald is a mystery wrapped up in an enigma, hidden behind a riddle. – G. Robert Blakey, chief counsel to the 1977 House Select Committee on Assassinations. 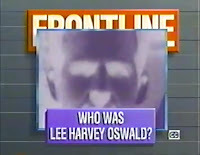 On November 16, 1993, I tuned into my local PBS station to see the PBS Frontline special Who Was Lee Harvey Oswald? (see below). For the two years prior to that date, as the thirtieth anniversary of the assassination of President John F. Kennedy approached, I began researching the event. Like many Americans, I believed that there was a conspiracy to assassinate Kennedy and that Lee Harvey Oswald was either not responsible or just a peripheral figure set up as a patsy. My own research, however, led me to conclude that Oswald acted wholly on his own and without assistance to assassinate the president of the United States. Though this documentary came after I reached that conclusion, it was reassuring to learn I was not alone in standing against the conspiratorial tides. Working at a college gave me access to a multitude of research sources, books, and magazines. Before the Internet, research was not a casual sit-at-home activity. One actually had to go to libraries, make interlibrary loan requests, and pour through thousands of pages without the benefit of search engines and keywords. Eventually, I compiled a timeline of Oswald's life based on the best available evidence that accounted for his whereabouts on most days of his life. This alone helped me to eliminate nearly all of the fantastic conspiracy theories. As I got deeper into my research, I realized the key to the mystery was Oswald himself, described by G. Robert Blakey, chief counsel to the 1977 House Select Committee on Assassinations, as “a mystery wrapped up in an enigma, hidden behind a riddle.” Indeed, Oswald made purposeful efforts to exaggerate, lie, obfuscate, or otherwise mislead people about who he was and his real agenda. My own personal conclusion is that Oswald felt rejected by both the Capitalist and Communist political systems and knew that an assassination of a U.S. president by a former Soviet defector would likely lead to a war, or that the resulting trial would somehow aggrandize him as a cause célèbre, much as what happened to Adolf Hitler during his trial following the failed Beer Hall Putsch.